Wendy off the rock... : J is for Judy's jerk — a love letter? I'm guessing you'll be a bit surprised to get this letter. It's taken a lot of sessions in therapy for me to understand why you have chosen to break the vow you made to stay by me through thick and thin, but I think I finally get it. Well, sort of. Anyway, the shrink suggested that writing a letter might help, so I'm giving it a shot. I've loved you ever since that first moment I clapped eyes on you at the marketplace. When I saw you carrying that huge bundle of wood I could tell you'd make a decent wife. The other lads made fun of your whiny voice and your monstrous looks,but knowing nobody else would have you just made me want you more. And Jude, you have to admit that we had a lot of fun times together over the years. All them summers by the seaside, you've got to be grateful for them. Judy, I miss you. I really do. There's been plenty of times over the years I've been alone in this cell and I've wished you were here to keep me warm or to empty the chamber pot for me. And I never thought I'd miss your cooking but the slop here is even worse than the muck you make. Honest. I realise now that beating you repeatedly with a stick was probably not the best way to express my love. And I can see how you might have been a bit upset by my whacking the youngun's head against the floor or feeding him to a crocodile to get him to shut up. I probably shouldn't have done that. But Jude, you have to admit it was bloody funny. Question of the Day:How do you reckon Judy should respond? I hope Judy is wise enough to have changed her address. Otherwise I suggest she throw the letter where it belongs - in the garbage... In all its tragedy it has a fun edge - the eternal jerk! Hey my comment has gone missing again! I put something like she should tell him to leave her alone as she is now with the policeman! Bugger cyberspace and it greed in gobbling up my comments! Yeah, I'm not sure why some comments just seem to evaporate... but then I'm not very tech savvy, so that's no surprise. Same, I didn't find them funny either. Thank goodness humourous entertainment has moved on. 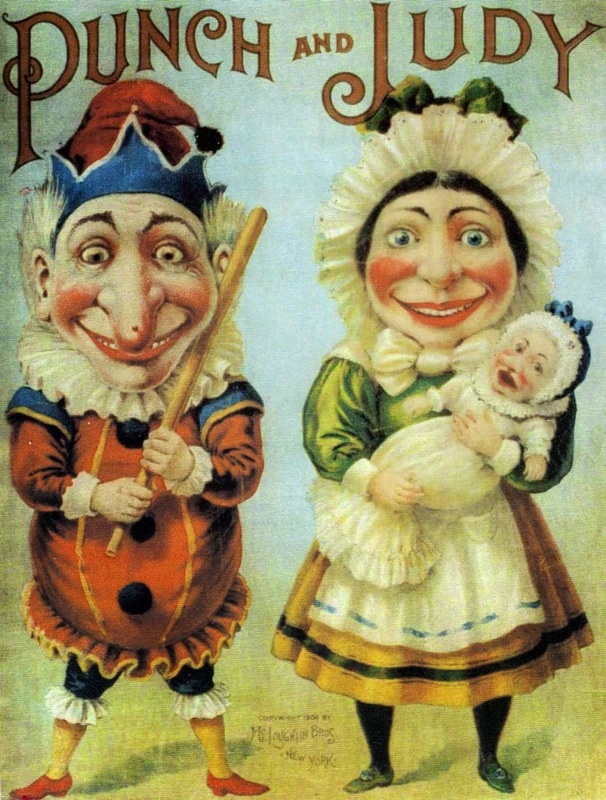 Looking at all these comments I'm wondering if anyone actually did enjoy Punch and Judy - they don't seem to have many fans here!